Become a Stronger, Injury-Resistant Runner in 25 Minutes a Day (or Less) a Few Times a Week! Are you wanting to stay injury-free this running season….but stressed about how to do that? Want to get stronger so you can run faster and recover more quickly? You've probably heard that yoga is great for runners, can reduce injuries and help you reach new records. It’s TRUE - and it doesn’t have to take a ton of time...or days away from your running routine!! Yoga has truly been my key to running high mileage weeks without injury. It helped me reach new PRs and PDRs. And, it's helped me tame the negative thoughts that hold me back from my true potential as a runner. Now I want to help you find the same thing! You want to try yoga or do yoga consistently, but you may not know where to begin. It's intimidating to walk into a class full of bendy yogis, knowing that your tight runner muscles won't allow you to do some of the poses. Plus, your yoga teacher may not be familiar with runners' bodies and their unique needs. 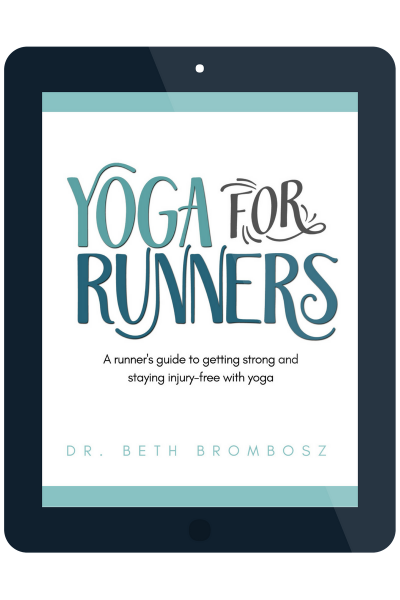 My Yoga for Runners Program is your answer to reducing injury and increasing your flexibility in 25 minutes or less, just a few days a week. Plus, you don't have to stress about making it to a class at the yoga studio on time - you can do this anytime! You'll feel the results in your body (and your sore muscles) almost immediately. And, in as little as a few weeks, you’ll see benefits in your running and routine...and stay injury free...which means more running for you!! Many runners worry about finding the time or even knowing what to do, which is why I’ve laid it all out for you! Get the program today for $97 $47! At the end of the program, you'll find a suggested 4-week schedule to help you continue to build strength with the sequences provided. You'll be able to keep up with your yoga practice from the comfort of your own home. No more trying to squeeze studio classes into your already busy schedule! Hi! I'm Dr. Beth Brombosz. 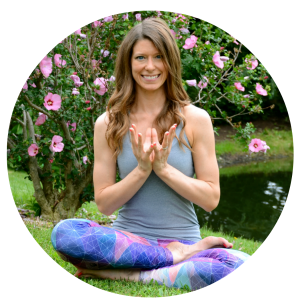 As both a certified running coach and a registered yoga teacher, I've spent a lot of time developing yoga sequences that target the muscles that get tight and sore after runs. I know great poses to help strengthen the right muscles to help reduce the risk of getting injured. And, I've taught yoga to many runners and am a runner myself, so I know how to modify poses for runners' bodies to optimize the benefits of each pose. The Yoga for Runners program has made me feel more confident about yoga. I'm learning different poses that will help me stay injury-free through my running journey. I also love all the yoga poses that help with hip flexibility as well.